The Uttarakhand state government has introduced a new scheme named as Vaishnavi Suraksha Yojana under the Beti Bachao, Beti Padhao Scheme introduced earlier. It is certain that under the newly introduced scheme the state government of Uttarakhand has announced incentive for every family that sends the selfie of their newly born girl child in the family. Main aim – It is certain that with the implementation of the new scheme in the state the government aims at improving the ratio of the girl child in the state. How to get the Vaishnavi kit – According to the state government it is certain that Vaishnavi kit shall be offered to the family of newly born girl child once the selfie of the child has been forwarded by the family members. 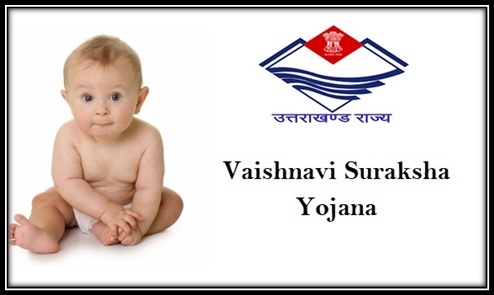 Vaishnavi kit item and card- It is also certain that the moment the family forwards the photograph of the girl child the state government will also present family with insurance coverage and Vaishnavi ID card along with nodal vaccines. According to the new scheme it is certain that the state government will also offer they newly born girl child with free cloths. Other benefits – It is certain that under the newly announced scheme the department of child and women welfare has announced to offer with protection to the newly born girl child in the state. Instant action taken – The state government of Uttarakhand has also approached the Anganwadi workers to help the proper implementation and supervision of the new scheme along with the local hospital authorities and to reach the beneficiary within 24 hours. Other benefits under the scheme – Under the scheme it is certain that the department of the state government shall also be issuing a special identification number to each of the girl child born in the state. Toll free number – It is also certain that under that under the new scheme the state government will launch a new toll free number for people where they can contact and leave their message of the birth of the girl child. The moment the family sends a message on the toll free number a worker from the Anganwadi sansthan will visit the girl child and the mother to take care of them. It is certain that the process of implementation is very much simplified. On the birth of the girl child the family members have to forward the selfie of the child to the provided number by the authorities. The moment the selfie is received within 24 hours ANM and anganwadi workers will approach the patient to offer them with vaishnavi kit and other benefits under the scheme. It is also certain that the CM and Dm will send a congratulation message to the family members and mother of the girl child instantly. It is certain that with the launch of the new scheme in the state the government aims at offering with all possible help to the girl child and mother to help maintain girl birth ratio in the state. Apart from this the government also aim at offering neonatal vaccination on time to the child and take proper care of the mother.